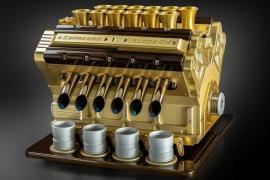 I always thought that coffee is prepared from coffee beans, of the coffee plant. Apparently I was wrong, not all types of coffee are prepared this way. 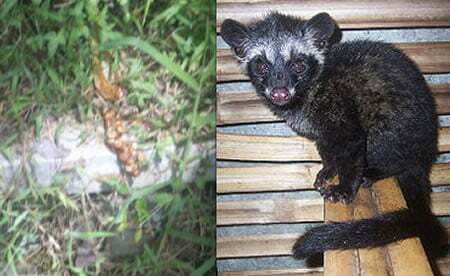 The Kopi Luwak or Civet coffee in Indonesian is made from animal poop! The tale goes thus; The Asian Palm Civet or the Toddy cat is a native Southeast Asia animal that likes to eat red coffee berries and beans. But the cute animals can’t digest these beans and they come out of their body as poop. The human’s in this area discovered that the enzymes in the civets’ tummies break down the coffee’s bitterness. To test their findings, they took the poop home washed it lightly, roasted it, ground it, poured boiled water over it, and drank it. Voila – the birth of the Civet coffee that tastes like caramel and chocolate! So exclusive is this coffee that it sells for a whopping $30 per cup (making it the most expensive coffee in the world) at select coffee shops in US and Japan. So the next time you come across a store that sells Civet coffee, just think of its unique source and save yourself from spending $30 on a cup of coffee made from poop!